Prof. Jingnan Liu is an expert in Geoscience and Surveying Engineering as well as GPS technology. He graduated from the former Wuhan College of Surveying and Mapping in 1967, and received Master Degree from the College in 1982. he holds the position of President of Wuhan University, and Director of National Engineering Research Center for Satellite Positioning System. He has engaged in the research of theory and application of geodetic reference frame and global positioning system for a long time, and made prominent achievements in relevant software development, data processing and engineering applications. More than ten application software systems, including "Comprehensive Software on GPS Satellite Positioning Data Processing", have been developed and many significant projects have been completed under his charge. Geheyan GPS Automatic Monitoring System, for instance, the general design and software development of which were undertaken by him, has played a key role in preventing the flood disaster in 1998. The theories and methods that he puts forward have been widely used in many engineering applications. 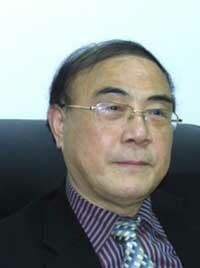 As academic authority in GPS field, he has won a number of national and provincial (Hubei Province) awards and titles. He has published more than 100 academic papers and supervised more than 50 postgraduates.